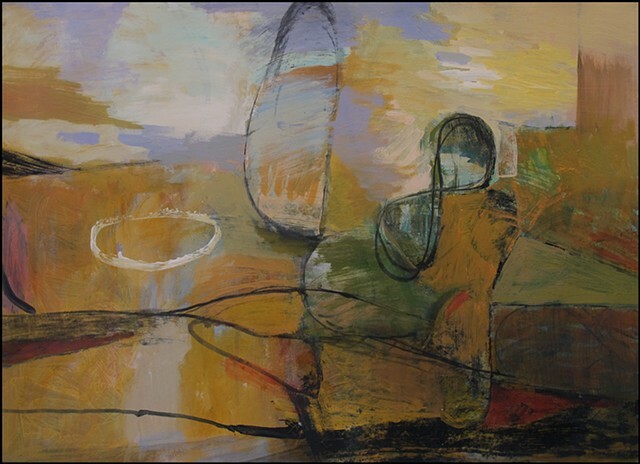 One of a group of recent works on paper exploring landscape and organic form abstractly. To me this one seems to deal with a sense of balance or equilibrium. The painting appears poised on the threshold of change--a tipping point. Float-mounted on neutral mat, with natural wood gallery-style frame. Shipping in U.S. included in price.